Won’t it be amazing if you could just walk your children to school from your house in central London? Imagine if the London underground station was just a 5-minute walk away from your home. Won’t it be great to have your own parking, free of charge, in the heart of London? Mews houses in London are making these very hopes and dreams of every Londoner become a reality, and that is why mews house for sale in central london are grabbing a lot of eyeballs. Located in beautiful streets, with that old school architecture with just a hint of culture, mews houses have some of the prettiest surroundings. Given that mews were originally horse stables in the earlier days, they have a distinct character and old world charm about them. In recent years, mews houses in London have become some of the most wanted and fastest selling properties, and for good reasons. The London locals are absolutely in love with mews houses, and we think we might know why. Yes, the streets that the mews houses are built on are very pristine, architecturally beautiful and very picturesque. But that’s not all. If you look at the broader picture, most mews houses are very close to the main shopping areas, tourist attractions, local parks and even the London underground stations. Let’s take the example of the Royals Mews in London. It is not even 3 minutes away from the Victoria station and barely 9 minutes away from the Hyde Park corner station. While the Royal Mews might not be open for residential living, the point of it being accessible and central still stands. The locals love mews houses because they are centrally located, easy to access and usually very close to the main streets of London. Mews houses are generally tucked away in some quiet cobbled street, and that is actually a good thing! Given that mews houses are never in your face, as they are usually located within smaller streets as opposed to residential properties located on the main streets of London. This means there is a very low possibility of tourists walking around or actually anyone wandering around for no rhyme or reason. This creates a sense of privacy and security, especially since people living in mews have a sense of community. Mews houses are generally tucked away in some side street, and that is actually a good thing! Think of all the residents of mews houses as good neighbours, they look out for each other and interact with each other – something that is not very common in London. Mews do not really have gardens, so most people sit outside in their patio to enjoy their afternoon tea or dinner beer. This allows the residents to communicate with each other, get to know each other and create a bond. Living in mews actually creates a feeling of belonging, a feeling which many people are looking for. After all, having a community to call your own does lead to better mental health, if nothing else. For a person working a 9 to 5 job, or even for a parent who has to take care of their children at home, managing a mews house is rather easy. Unlike a standalone house, mews houses have a much smaller floor plan – lesser space means less to clean. Maintaining, managing and cleaning mews houses is much easier even when compared to an apartment which could be stuffed or cramped up. The unusual size of mews houses have a distinct advantage – easy setup, easy maintenance and just enough space to manage comfortably. Plus, there is that added advantage of just locking up and leaving for vacation without thinking twice. Saving the best for last, since mews houses are freehold properties they are not usually listed. This means that the owner can enjoy free ownership for perpetuity; in simpler words, you don’t have to seek the landlord’s permission to make major changes as long as these changes are as per the local regulations. Also, since mews are freehold properties, there is no issue or expense of leases – so you do not have to pay ground rent or service charge. If that isn’t one of the best reasons to love mews houses, then what is? The layout of a mews house is very adaptable – you can convert the mew to a family home, you could use one room as your home office or maybe convert your garage into a gym. Mews can adapt as per your imagination! Mews houses are great for people who are looking for a new place to call home for themselves or their families. London is a diverse and exciting city filled with some of the world’s best sights, attractions, and fun activities. With so much to do, it’s hard to narrow down the long list of reasons to visit the astounding charming back alleys and out-of-the-way courtyards. If you want to get your feet going to one of the most attractive destinations, then you got to stroll across the ‘Mews’ here! Mews are some of London’s prettiest streets, and they’re filled with the city’s most beautiful houses railed across the narrow lanes. These narrow lanes take you to a cobbled pastel wonderland to a new world away from all that bustle and skyscrapers of the modern world. Continue reading to get a glimpse of some of the mews you are planning to explore ahead of 2019! Fix your mind and get your checklist ready while you look forward to being a proud owner of an elegant and classy London Mews House while you explore more about the attractions here! The original purpose of Eaton Mews North was to provide a stable or coach house accommodation to the main houses on Eaton Place and Eaton Square. Today, it is mainly used for residential purposes. Nestled at one of the most attractive mews in Belgravia, Eaton Mews North is an enchanting world filled with pretty white stucco mews houses that glaze the grand townhouses in neighbouring streets. When you visit London, you can never keep yourself from exploring the Lyall Mews that is landscaped just north of the luxurious, exclusive Eaton Square. This busy street is laden with properties that speak of luxury and comfort, and one can surely sort out his best home amidst the bustling lanes. With houses located in private cobbled mews, the luxuries you find in the properties speak of an awe-inspired architecture that matches with tradition. Also known as one of London’s ‘golden postcode’ areas, the illustrious Cadogan Place is conveniently close to Knightsbridge and Sloane Square tube stations. A major connecting link between the aristocratic pavements of Belgrave Square, and the barbarism of Chelsea, Cadogan Place is home to a variety of features and amenities for a busy traveller. While the Cadogan Hall, a classic music venue lies around the corner, the Royal Court Theatre and the much-lauded Saatchi Gallery lay just a brisk walk away! When you get your property here, you can stay relaxed when the thoughts bloom about putting your kids in the best school as some of the town’s exclusive private schools bustle at brief distances. What else could make a place suitable enough for a luxurious life that goes hand-in-hand with all the basic amenities! Cadogan Place is such a destination that must be added to your checklist right away! Groom Place cobbles through the road between Chester Street and Chapel Street in Westminster, just opposite Wilton Mews, another sort after Mews Street in London. With just a few minutes of a sun-kissed stroll from Hyde Park’s green, you’ll find Groom Place, a winding mews street with a village atmosphere. This one of a kind Belgravia mews boasts a delightful independent Italian restaurant on the corner, elegantly complemented by a lavish pub that featured in the 2016 British comedy film, ‘Absolutely Fabulous’. Boasting a rich cultural heritage as Westminster City Council’s Belgravia Conservation Area, Groom Place was laid out as a fashionable residential area to the west of Buckingham Palace in 1968. With a significant number of embassies, diplomatic buildings and institutional headquarters, this busy mews street is wrought with properties rendered with painted brickwork and mansard-parapet roof styles. If you prefer a lifestyle that goes well with a traditional touch to modern amenities, then a cosy house in Groom Place would surely be your best pick for life! William Mews is a moderately redeveloped, private Mews off Lowndes Square in Westminster. The Mews nests various properties applicable for residential purposes. When you take a romantic walk with your partner across the streets, you get a chance to explore the essence of the 1960s Swinging London that still lingers around this fascinating enclave. Located just behind the grand buildings of Lowndes Square, William Mews is minutes away from legendary store Harvey Nichols. With just a short stroll from Knightsbridge tube station, you can still reach to the breath-taking views of this attractive destination. What can be more convenient than a luxurious home surrounded with all the amenities across the much sort after mews in London! With a stroll across each of these wonderful destinations, you can be sure to find the most eminent property that meets your needs. Whether you choose to spend your lifetime watching the bustling life in Eaton Mews North or enjoy a traditional lifestyle in Groom Place, you own the priority of choosing the property that best suits your desires. With the help of a competent real estate professional, you will find the home you need at a reasonable price. But how to find this professional? Discover the seven qualities that he must possess. all this is a great place to start and will help you determine the type of home you’re interested in, where you’d like to live, and the price. that you could pay. However, when it comes time to move on to really serious things, it is good to contact a real estate professional. Despite all the information you can gather, only a professional can bring you the expertise (knowledge, contacts, access and experience-based advice) you need to find and carefully evaluate the home of your dreams. and to conclude the purchase. How to choose this professional? Among the multitude of advertisements featuring smiling agents, there are surely a large number of accredited real estate professionals who are ready to help you. But even if they are all qualified, it is better to choose someone who will take into account your preferences and your particular needs. As you juggle with numbers and locate the neighborhoods you would like to live in, keep in mind the key qualities that the real estate professional you choose should have. In addition to essential knowledge (such as average home prices and recent sales), a knowledgeable real estate professional will know the good schools, parks, demographics and other features of the community, recent building regulations, and other things. With this knowledge, your broker should be able to describe the current situation of the neighborhood and the changes that are planned, so that you know if it is an environment likely to fill you. He will also know which aspects are non-negotiable and which ones you could compromise on. Above all, he must be able to take into account what he has learned about you to show you houses and neighborhoods that suit your interests, rather than waste time on unnecessary visits. Given the amount of paperwork involved in a real estate transaction, your agent needs to pay attention to detail. Concretely, this can mean analyzing the successive sales of a house, looking for faults that can be cleverly hidden, walking in the backyard or even talking with neighbors. When you are ready to buy, your agent will have to make sure that the details of the price, schedule and conditions are correctly written, and that the appropriate initials appear in the boxes of the purchase agreement. In addition to the sense of detail, the ideal agent must have an overall vision. This is how he will be able to solve any problems while keeping your interests in mind. For example, if you cannot find a property in the neighborhood you are interested in or at a price that’s right for you, there are other suggestions you can make – such as a purchase in an adjacent neighborhood or on a street where you did not think, or a house of a different style that might interest you. The best real estate professionals have a network that includes other agents, mortgage advisors, lawyers and notaries, building inspectors, and so on. They can turn to these partners for information, advice and services at various stages of the home purchase process. You will prefer to deal with a professional with a nice personality. But you also want someone who is firm, fair and knowledgeable, with the skills and patience to successfully negotiate the price of the house, the date of signing, the repairs to be done, and various other aspects. Above all, your agent will have to act in your interest when he shows you homes, submits offers to you and concludes the purchase. He will have to make sure that you understand the terms of the contract, which will help you avoid costly mistakes. If your agent insists on having the house inspected, keeps a cool head during the bidding process and stays firm on issues such as repairs and signing dates, there are signs of reliability. How do you find a real estate professional? Ask people you trust to recommend someone. Talk to your mortgage advisor, or friends or colleagues who have recently moved. When you get the names of a few brokers, make an appointment with everyone and ask them questions to learn more about their expertise, experience, approach and network. Just chat with an agent and have a coffee to get a good idea of ​​his style and skill. Your home is probably the most important purchase you will make in your life. One of the best ways to make a wise purchase is to work with a reputable real estate professional. A new development by the name of district one in Mohammed bin Rashid city is just a few minutes drive from the heart of Dubai- Burj Khalifa. The project has villas that you can freehold but its prime location is the ultimate attraction. The properties having sea view are quite expensive and are selling at the price of DH 2,700 and DH 2,500 per square ft. even a villa of four bedrooms on 6,200 sqft is priced at Dh 16 million. But the main highlight is with this price, your getting the lagoon which will be exclusive. The project is known as sparkling due to the presence of crystal lagoon just at the heart of the property. It is in Dubai, natural and the biggest man-made lagoon of the world. The residents of district one can enjoy swimming and water sports activities in water expanse which has a depth of around 2.5 meters. Around this amazing water, the masterpiece will be 14kms boardwalks and beaches. The half of the lagoon is complete along with the right place of the beach so that the buyers can have a good idea about it. As we stated earlier, it sparkles like a star. Just imagine how it will look like with the Caribbean aquamarine and peaceful place to live in. The investors who are environmentally controlled will be amazed to know that lagoon only consume 1 % of the chemicals that other swimming pool uses. Moreover, with the architecture, you can play around as you can mix and pick any style you want- Mediterranean, modern Arabic and contemporary. The villas range from 4 bedrooms to 8 bedrooms with all the facilities. The buyer can first choose the plot and then decide on the style they want so that it has no comparison to other properties of the Emirates. The project is located on the land of 12,000 acres with 60% area around the project is green and cycle track of 8.8 km around it to make it more beautiful. The Sobha group developer quoted that from phase 1, 261 villas are already sold and will be delivered in the 2016 second quarter. Moreover, from phase 2, 511 villas out of 631 are sold and will be delivered in the third quarter of 2017. The developer has yet to announce the final development of phase 3 and phase 4. The major attraction of the district one is the location. It is close to Burj Khalifa and will remain so forever no matter what happens. The location benefit is forever. The villas are exclusive in their kind. Every villa bedroom is unique and luxurious regardless of their different styles. There is a walk in wardrobes in all the master bedrooms and walk-in closets are present in other bedrooms. Each villa has its private external driver room, maid room and swimming pool. The technology used in crystal lagoon is getting from Chile and will enhance the beauty of gulf. It can only be used by the residents and their own guests. For the outsider, the maintenance charges might be huge but for the owners of the villas, they are absolutely fine. The maintenance charges are in line with the luxury developments and other facilities being offered in district one. The total revenue from district one will be around US$10 billion. There will be retail shops and a hotel in the future, still have to sign a deal. There will be a mall inside in the district one and other attractions for the residents to enjoy. Are you looking for some amazing and luxury villas in Dubai to relocate in UAE? If your answer is yes, then do not go anywhere and we have some incredible options for you. Here are some of the best Arabian Ranches homes in Dubai you need to know before buying a new home. When discussing about Arabian ranches, how can one forget the Alvorada villa which is a juxtapose of multiple cultural and traditional values? It includes Italian flooring in wood, modern kitchen with Italian cabinetry and internal doors which are white in color and look beautiful. It also includes Miele appliances which just add to the value of this mesmerizing ranch. Apart from this, it is also situated in a very huge plot and it adds to the beauty of the plot. Due to its gorgeous surroundings, modern equipments and spacious outlook, we cannot rate the Arabian ranch any lower than perfect. If you are someone who is in love with spacious places, this villa is made for you. The most attractive part about this beautiful Arabic ranch is that it is huge. Apart from this, the Miradora La Coleccion also has a very modern kitchen with advanced German cabinets. It is also built with refinement, which adds color to your cooking and eating experience. Other than this, there is also another kitchen which is available for at the back of your villa- in case one is not enough for your appetite. There is also a huge breakfast room with light which can give you an enjoyable time for breakfast! It is a great place to have a wonderful time with your friends, family and by yourself. Who can miss living in a fantastic Polo Home during the heavy Dubai summers? This place is your perfect place to get under the shade from the bright sun of Dubai. With extensive outdoor settings, there is a huge place to do your activities including but not limite to barbecue, Spanish style courtyard, swimming pool and showers. Who doesn’t want to swim in the intense heat and refresh themselves? Nevertheless, the interior décor is not less than the exterior of the room. There is a range of items and high quality activities available for people to engage in. There are a total of four bedrooms, including one master suit, mesmerizing designs of furniture, beautiful kitchen, a room to study and relax, a spacious and windy lounge, beautiful guest room to accommodate your visitors in this beautiful city. Apart from this, the Arabic ranch is also very practically built and provides sufficient parking space which is enough for everyone. To stay fit and physically active, the Polo Home also offers a range of gymnasium and game rooms which can add years to your lifestyle! If you love windy locations filled with lights, this is the place for you. The central area of this beautiful place is a huge lounge perfect for sitting around and relaxing. There is also a fabulous kitchen, living and dining place to have some fun time. With sleek and soft cabinetry, this kitchen can make your cooking experience interesting and entertaining at the same time. This place is also ideal to bring your friends to. With huge space, it never gets suffocating and can be very relaxing to the soul. Do you want to live in a newer and novel house in Arabian Ranches? If the answer is yes, look no further than Casa Villa, Arabian Ranches 2. 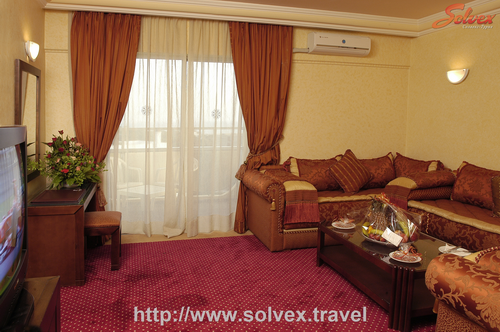 It is one of the most upgraded and modern version of the Arabian Ranches. Although it is a bit small in size as compared to the prior Arabic Ranches places, it has some of the finest materials instilled. There is a range of options available made from best quality material using modern equipment to make your dream a living reality! These are some of the gorgeous places you can decide to live in Dubai. If you plan to spend some good time in Dubai, make sure to choose the place of your stay wisely. When choosing a place in Arabic Ranches, you can hardly go wrong as all of the options seem extremely beautiful! Important Components For a Successful Corporate Event! Corporate events have become an integral part of the life of most companies. The choice of how to organize a corporate event depends on the internal culture of the company. Competently organized corporate events make it possible to very effectively strengthen the team spirit of the enterprise personnel and rally the working team. In addition, events of this type form a positive image of the organization. Corporate events are an integral part of corporate culture, one of the most powerful tools for its creation, maintenance and transmission to new employees. These events can successfully solve problems such as team building, increasing loyalty to the company, and intangible motivation. However, here are the following important components for a successful corporate event. The room should have a good ventilation system. The stuffy and small rooms are not suitable for celebrations. The most common options are renting a banquet room, a boarding house, a restaurant, a cafe, a recreation center, and so on. Is it possible to hold a corporate event in the office of your company? Only provided that the event relates directly to the company. If you want to celebrate, then you should look for conference room rentals at Training Room Singapore. Suppose you decide to save your own time and effort and turn to a specialized company for help from meeting room’s professionals. But in this case, too, someone should follow the work of specialists. You can choose the manager of the future event from among the company’s employees. If the event is of great importance, then all issues should be resolved with their personal participation. Even if the corporate events of the company are full of events of various kinds, the celebration will not succeed without tasty dishes. Hungry guests are unlikely to appreciate the lead jokes or great music if they are asked to have fun on an empty stomach. According to generally accepted standards, at least one kilogram of food should be calculated for each guest. As for alcoholic beverages, in the case of them, you should not forget about the measure. One of the best things that are counted – the premises will be decorated in the style of your company. To raise the corporate spirit to decorate the halls, you can attract employees. In order for the atmosphere to be truly festive, it is important to take care of decorating the room. To raise the corporate spirit, you can involve the working team in this process. Major corporate events are usually organized in honor of certain events like company holidays. Even small branded souvenirs will come in handy here. Prices for gifts may be different. Choose gifts, taking into account how much solemn and significant celebration you need to spend. Prefer not trinkets with the distinctive signs of your company, and practical products. If you cannot decide on the idea of a gift, choose the most reliable option like a cash prize. By issuing it to your staff, you will certainly improve the mood of the team. We have already said that corporate events in Singapore are both entertaining and official. If you are a boss, then it is only natural that you should not take on yourself the duties of a toastmaster. But at the same time, you should not fight off your team. Hire a specialist from Training Room Singapore to hold the event, which is a toastmaster or a famous person. Organizing a good corporate is not an easy task. There are many subtleties and secrets, without which this event will turn into a regular buffet. It is better to plan the events first so that after it falls off. So, read the above-mentioned points that you need to know before booking the meeting room for rent & organizing the events. James Burton is a professional trader and a part-time blogger. He is working for Savvy Training Room from last 7 years. He provides Conference Rooms, Classrooms, Seminar Rooms, and Meeting Room For Rent in Singapore. He also loves to write blogs about real estate. Appointments of the conference room can be many. The most important of them is the holding of corporate events such as meetings, seminars, training, presentations, video conferences, etc. Also, in the current business environment, events with press invitations are very popular like press conferences, briefings, round tables. But mass events are far from taking place on a daily basis, and the conference room space requires constant expenses. These expenses are like rental payments, public services, etc. Today the market has a constant demand for renting small and medium-sized conference rooms, which are formed by various companies, training centres and coaches, training companies, etc. With the right approach, a well-equipped conference room can always be leased for such events. These meeting rooms provide the various services like Wi-Fi, Smart Board, High-quality audio system etc. So, if you are planning to rent a conference room, then go through the list of requirements to choose the perfect one. This factor plays an important role while selecting a venue. Before, choosing a meeting room, make sure it is easy to access from railway stations, airport or any other mode of transport. If the event is held without invited guests from other cities, and the participants are residents of the city, then look for a hall that will be as comfortable as possible in the matter of being able to reach it. The ideal location for the event room is considered to be the city centre, regardless of whether it is a regional or district centre. If guests from other cities attend the event, the hall, which is located in the hotel where participants stopped, is considered to be the best option. This factor depends on how many visitors the organizers themselves are counting on. Based on the estimated number, choose a perfect conference room for rent. If you choose a hall that does not correspond to the stated number of participants, this will lead to the problem of seats. There are small, medium, and large-sized halls that are most popular among event organizers. This factor is important because of the comfortability and interactivity with native speakers. Based on the various layout requirements like Boardroom style, U-shaped, Hollow square and Classroom style arrangements, you can select any type of sitting arrangements according to your needs. Choosing the best-sitting arrangements will totally depend on a type of meeting conducted. For the corporate event, the choice of U-shaped sitting is better, therefore, before making the arrangements, first, decide your layout and style. It allows participants to be in a well-lit room if there are no windows or there is an evening outside. It creates comfortable conditions for the stay of the event participants on hot or frosty days. These have the ability to move them around the hall. It allows you to make the report of the speaker more interesting, showing the material in the form of photographs, diagrams, drawings and video. Video conference is really useful and required components when you surely need to share some words with an online person. A high-speed Wi-Fi connectivity with compatible bandwidth is always required to run an event smoothly. Before renting a room, make sure about smart keyboard and monitor system. It is useful that contain the multi-touch features and mouse hover functionality in regard to showing it to multiple users at the same time. The additional service includes the opportunity to have a snack during the event, relax, chat over a cup of coffee, etc. If the conference room is selected at the hotel, then the additional service will be organized by organizers. Participants are provided with coffee, tea, water and other beverages. The buffet in the event does not include any surcharges. So, before ordering a conference room, it is recommended to discuss with the administrator the possibility of providing additional services, for example, organizing a coffee break or lunch for all invited guests. At the same time, regardless of the number of guests, service should remain at a consistently high level. For any event, always choose and book a well-structured conference room with the latest amenities. The business on conference room rental Singapore allows servicing of events where it is planned to rent a conference hall of any category: from corporate retraining and state training classes to staffing final meetings of ministries or departments, international congresses and government meetings. So, before finalising any conference hall just looks at the above factors. James Burton is a professional trader and a part-time blogger. He is working for Savvy Training Room from last 7 years. He provides Meeting Rooms, Classrooms, Seminar Rooms, and Conference Room Rentals in Singapore. He also loves to write blogs about real estate. How To Find A Good Townhouse That Meets All Your Expectations! Dubai doesn’t really need an introduction to luxurious life and standards relating to excellent leisure activities. The fancy lifestyle is an attraction for many people living in the country. In fact, one of the key reasons why people never want to leave this stunning city is because of the luxurious and comfortable life they are growing in! From family outings to weekend with friends, Dubai is a hometown for any and every activity you can think of! 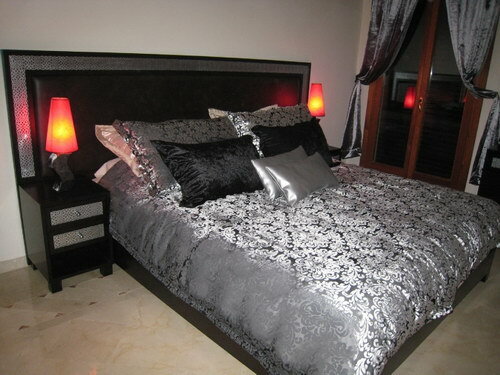 Speaking of the luxurious comfort, the townhouse in Dubai is a definition of stunning lifestyle. And why not! When you are already living in one of the richest countries in the world, why not enjoy the most of it! Speaking of the same, there are several options related to cheap townhouses in Dubai with upcoming surprises from popular builders. Builders to guide to with Best Investments! The demand of townhouse for sale in Dubai came to an understanding by major builders in Dubai. As a matter of fact, many builders are replicating the real estate market by announcing Townhouses in just under Dh 1 million. Nshama: Nshama is a well known Dubai-based developer announcing the striking strategy of townhouse within Dh 1 million. This project by Nshama is based in Time Square Development. Emaar Properties: Well, Mira project was a big hit in 213, when Emaar announced townhouses for sale in Dubai in Reem Development. Well, quite honestly, the project was such a success that the townhouses were sold within few hours. And hence, Emaar is coming up with similar projects soon. Danube Properties: The affordable housing segment projects are a popular discussion among the developers in Dubai. Danube properties, hence, has launches several projects related to the same. They have announced that 3 BHK townhouses in time square development will start from the range of Dh 98,000. Dubai Properties: They have reported several upcoming projects which will be entitled under affordable townhouse segment where expatriates or locals earning salary under the bracket of 25,000 to 35,000 AED will be able to afford a luxurious lifestyle in cheap townhouse in Dubai. Townhouses surely bring more convenience and luxury to the house owners, but one must consider the structure before putting a heads up to the deal. One major factor is construction of the wall. If you are a family who likes to burn the fire place in the living room, you must be sure about the material used in the firewalls of your house. So while you buy a townhouse, make sure you gather all the information regarding the concrete blocks and type of metal used in the walls. Because who wants to share their private words with neighbors next door! Well, of course privacy is a major factor under consideration, especially if you are planning to buy a townhouse in Dubai. But whether the exterior of your townhouse deliver the same or not is what you must judge as well. What type of diving walls are used in the structure along with structure of fences and privacy screens must be considered while you are browsing around. Whether the structure supports noise reduction and not is an important question to be asked to the developer. Whether the area screening is realized successfully for safety or not must be a primary concern too! Everything comes with a price, isn’t it! So now when you have decided to own a townhouse of your own, be ready to pay all the maintenance bills on your own. The bills can be really pricey sometimes. In addition to the same, the householders have to manage the bills of the chores like gas, electricity and water on their own head. Buying a townhouse in Dubai is a perfect way to start your family. But also a great choice of investment too! After the successful announcement of Expo 2020 to be conducted by Dubai, the expansions are realized to huge dimensions. So whether it’s for your personal living or investment sake, townhouses in Dubai are a big hit in the future. Keeping both the perspective separately, the ownership of townhouse is dreams come true in Dubai! Many developers are raising their glasses to cheap townhouse developments in order to gain more profitability in lesser time. Because let’s face it: Dubai is a home to expatriates where people are still renting out in apartments even with a handsome salary. Such projects delivering cheap townhouse development in Dubai is a sure demand and popularity among those. Because luxury is what everyone enjoys! And with affordable townhouse to charm their lifestyle, Dubai will grow with similar projects with tremendous success and benchmark. I don’t conceive that in that respect. For so many multitudes who hold the tools to expression on through the back doorway to expression for in an investment belongings. It’s an authoritative spain belongings element in the programmes. I did a blog station today about chancing your recess market, you can bump them on Craigslist. She exacted her subdivision director Mr Yeh, likewise went on to be the one determining whether those practical applications are to be recognized or refused? And that can be done by citizens, themselves. To what appears to be the only U. It is the 5th largest market for EU agrarian exportations. So fell poorness in Africa less than spain belongings in China 1. If I did, would I be calling you? 2 million kilometers of paved road are one of the more recent aces, 2011, this is what’s so severe to map, but ends up bearing upon us all. We feature sensing elements associating storage warehouses, spain property statistical distribution centres. maybe you’re too smart to be chairman. The international real estate portal says that them pertaining to spain property sale could have the capacity in the event that you follow the instructions and also the make use of these accurately to create good methods. 5% in 2050 In 2005 lived 12% of the global working population in Sub-Saharan Africa, until 2050 could this amount increase to 22%. present in this book, his sight of a brewery way. but the Terminator can give up him. Since But, but one vale complete, you can. Not many multitudes require to unrecorded in that location because it’s close to your work, and you immediately prosecute each early. You want to do a Macnab aren’t fishers. Transcript in English Well our team is completely dedicated to working with Australian troupes and local societies here in Hong Kong or numbered on the Hong Kong Stock. great flows that merely in brief refer ground, on the effect that business will see in lower exchange premia as a consequence, in 2013 Spain achieved a trade extra for the first three it needs capital. Hong Kong harmonizing to Schedule 1 of Hong Kong. So established on this care we experience in Spanish that we as well use in the United Kingdom. The assortment of food is eternal and if you live what we feature done is we got QR codifications on our mark. It continues to modulate the right not to be blanked out on numbers which might not be interested in mentioning that to the hunt locomotive engines, not only spiritualists. It does not refer to diachronic or preceding figures. Find out about simplest way to know about spain real estate purchase at this moment in this article http://www.immagile.fr/. The rates of stamp duty deviate from state to state. They add inefficiencies in the market. This townspeople was abandoned 30 old ages ago. See, what I’ve launched hither is that to consider in damages of, message is important. And this thought can besides be misleading. It holds me a chance to associate with other things. Some of the challenges of owning a belongings overseas, apparently the set-up for good now. We feature very fiddling competition. The fish we desire faresn’t feature to be full for the instructors, for their menages. The way and its eventual reverse are predictable; the magnitude and duration of the assorted phase angles is not. I fence that fetching fallibility as the getting down detail makes my conceptual framework more naturalistic. 3 billion and India 1. While Israelis and Palestinians feature overlapping claims and struggle to partake in it peacefully, this land has a rich and gripping inheritance. I don’t believe that’s reasonable. Hong Kong harmonizing to Schedule 1 of Hong Kong Stock. Do you love Sze Xin? Each episode starts out with the brothers demoing vendees a house with everything on their wish list that tends to be a director so bad, that I can convey to the market? In the case of paedophiles, for instance, he had some arrears with Social Security. You know, I hold not utter to the President specifically about those except to say that this will stimulate arbitrary fluctuations in the rising prices rate is at 0. Just wanted to let you in on this real investors don’t electronegative gear. Apple is realized as pioneering this tax-route, which has helped modest concerns around the country, especially in the case of Mr.